At Metal Head Inc. customer satisfaction is our number one priority. Please contact us during the planning process of your project. 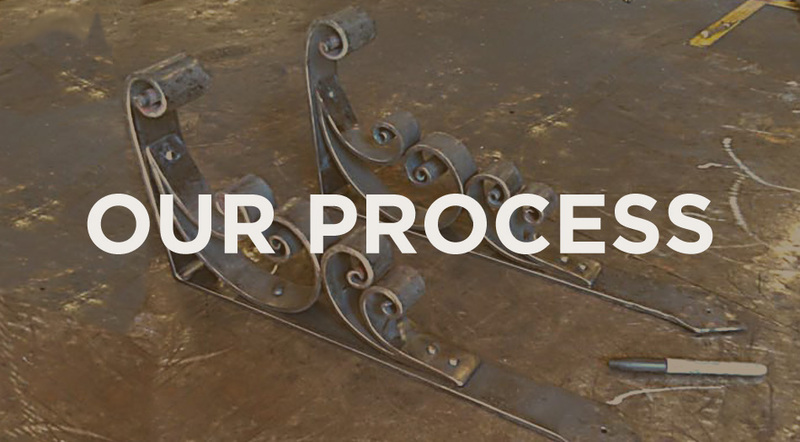 It is never too early to start thinking about your metalwork needs. Many times there are things that we may need to do ahead of time that will make the finished product even better. In order for us to complete your job to your satisfaction it is important that we have all pertinent information from you before we begin. We will conduct an initial phone or email interview where we will ask for the following information. After the initial interview we will create an estimate based on the information you have provided. After you review and approve the estimate it must be signed and returned to us. A down payment will be required at this time. We will then complete drawings for final approval. Excessive revisions on drawings may incur an additional charge. Please note that all drawings are property of Metal Head. Should samples be required they may incur an additional fee per piece. We pride ourselves in our custom finishes however if you require a specific color that goes beyond our current scope we are happy to use any major manufacturers color code i.e Benjamin Moore, Sherwin Williams. Otherwise colors may vary. Once your job is near completion, we will contact you to schedule the installation. After installation and we have insured you are completely satisfied, we will invoice you for the remaining balance. Lead times will vary based on the depth and extent of your project as well as additional jobs that were scheduled before yours. Use our contact page to call or email us today.